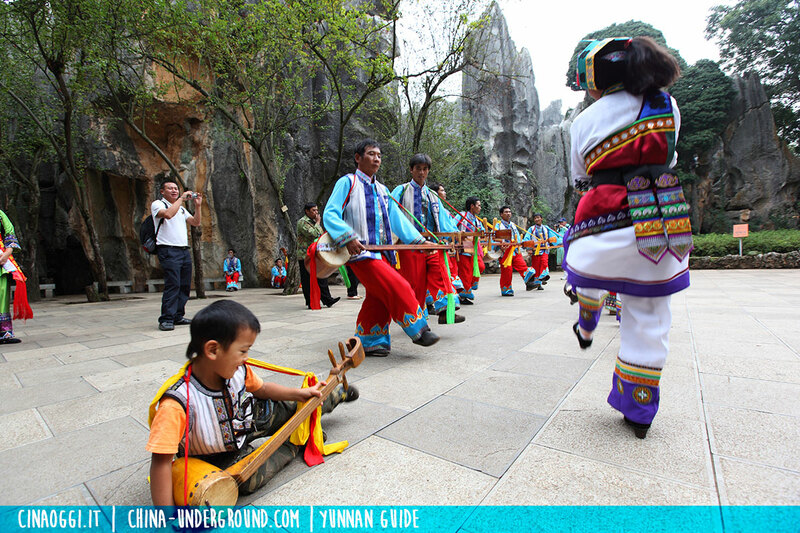 In the Stone Forest, local people in colorful traditional costumes are attractive to visitors. They are the natives here called Sani people (撒尼人), one branch of Yi people. 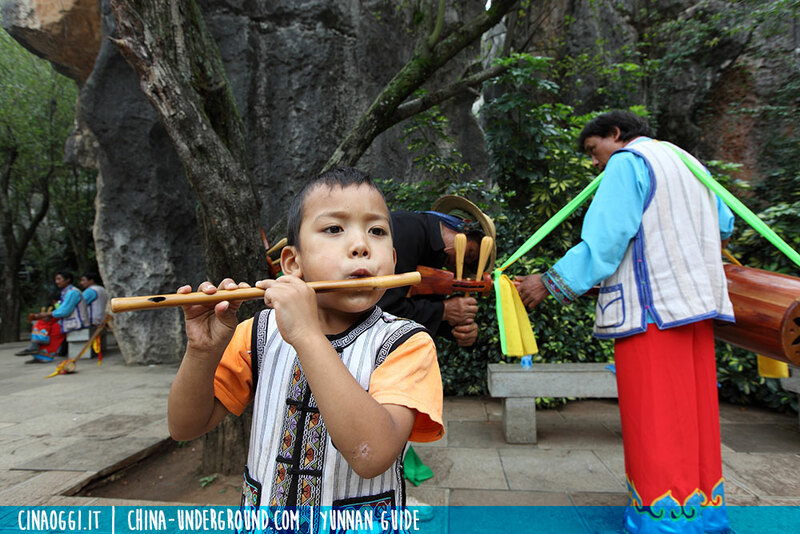 In Yunnan, Yi nationality is the largest ethnic group which has wide distribution and numerous branches. Since ancestors of Yi people lived by hunting in forests, they regarded tiger as the king in forests and the symbol of power and dignity. Therefore, tiger became the totem of Yi people. In Yi culture, black is the honorable color which stands for strength and health, so Yi people prefer dark skin. 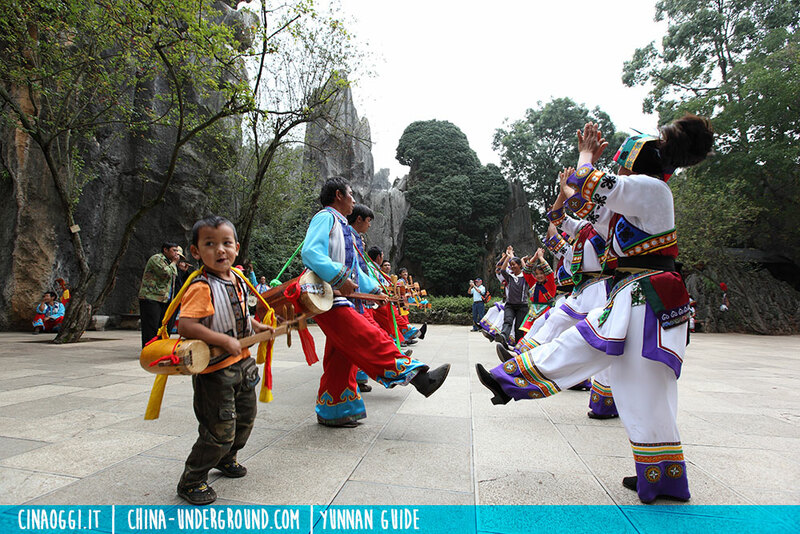 Generally speaking, Yi people are enthusiastic and unrestrained people who like singing, dancing, wine-drinking and wrestling. Customs of Sani people reveals some features of Yi culture. Sani people also worship tiger as one of their totems. The tiger patterns can be seen on various embroidery products of Sani people. “Sani” means “happy people” in Yi language. Sani girls are generally called Ashima which means the beautiful and kind-hearted girl. Special attention should be paid to Sani female’s headdress because people can tell whether a Sani girl is married or not yet from her headdress. Two triangular ornaments standing on both sides of her headdress indicate this is an unmarried girl. Only one standing ornament shows this is an engaged girl. A dark headdress without any triangular ornaments standing represents this is a married lady. Sani boys are called Ahei which originally refers to the color “black”. Sani people adopt “black” to be the general form of address for males. Sani people are good at handicraft-making. Their embroideries of various aprons, wallets, handbags, tablecloth and hanging decorations are very popular among visitors. Bamboo flute and leaves are the music instruments for young Sani people to express love to each other. 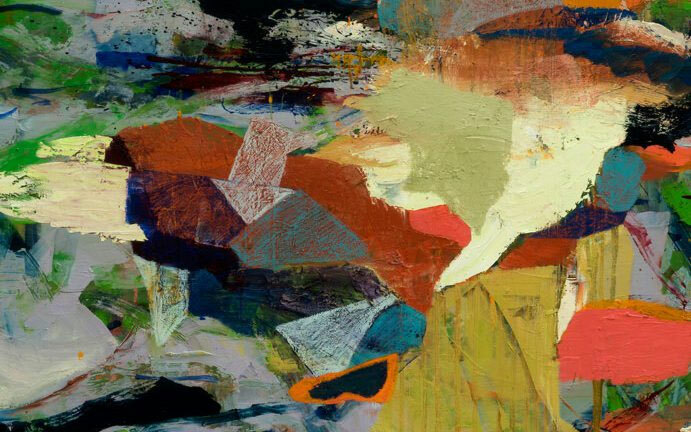 When they are dating, the man plays flute and the lady blow leaves to communicate. They can understand his/her feelings through the melodies produced by the instruments. Sani people are free to choose a life partner. If young people sincerely love each other, they will get married. The marriage custom of Sani people is interesting. At first, the man has to ask a qualified matcher to get the permission of the lady’s parents. If her parents agree with their marriage, the matchmaker will bring a pot of wine and a bunch of preserved meat given by the man as gifts for the lady’s family. Then, the lady’s family members will have a get-together meal and discuss the specific procedures of the wedding ceremony. After that, the matchmaker will bring the information to the man. Finally, the grand wedding ceremony will be held in the lady’s family. At the wedding, the bridegroom should invite his male friends to be the singers who are expected to answer the questions from the bride by singing. The singers should not stop singing until the bride is satisfied with their answers. Then all the family members and friends begin to enjoy the wedding banquet. 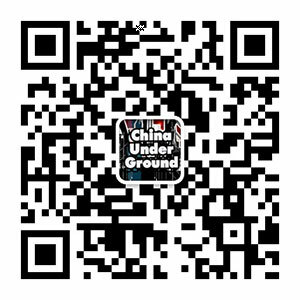 When one visits a Sani family, the following taboos should be paid attention to: Don’t step on cooking pots and oven; Don’t sit on the threshold; Don’t stride over the building materials of the family; Don’t call Sani people “Luoluo” (“Luoluo”, meaning tiger in Yin language, was the form of address for Yi people’s ancestors. ); Don’t visit the family with a lying-in woman. All the behaviors above are regarded as impolite and unlucky manners.